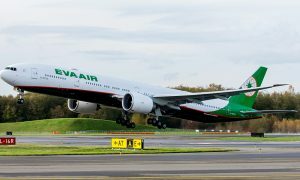 Boeing today announced EVA Airways’ intent to purchase up to 24 787-10 Dreamliners and two additional 777-300ER (Extended Range) jetliners, which is valued at more than $8 billion at current list prices. 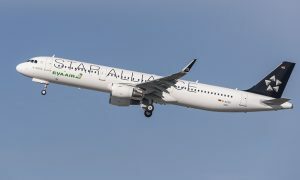 EVA Airways will join the 787-10 launch customer team and will be one of the first airlines in the world to introduce the newest member of the 787 Dreamliner family. The 787-10 will be the third and longest member of the super-efficient 787 family. 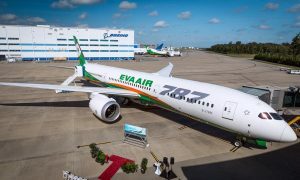 With its greater passenger and cargo capacity, robust range and passenger-pleasing features, the 787-10 will complement EVA’s Boeing widebody fleet while setting a new benchmark for fuel efficiency and operating economics. The 787-10 will be 25 percent better in fuel and emissions than the airplanes it replaces and more than 10 percent better than anything offered by the competition for the future.